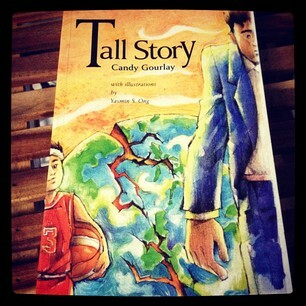 Two days ago, I posted my review of Candy Gourlay’s Tall Story. We also posted the first part of our interview with Candy in Behind the Books. 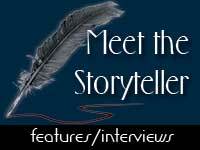 Today, we are privileged to have Candy in GatheringBooks yet again, as she shares her thoughts about her award-winning-debut novel Tall Story. Candy has been asked a lot of questions about her award-winning-debut-novel Tall Story (see Nicky Schmidt of Absolute Vanilla’s comprehensive and insightful interview here, check out Tracy of Tall tales and Short Stories’ thoughtful questions here, while this one is a mythic interview by Lucy Coats of Scribble City Central, and another interview done by Tarie of Asia in the Heart, World on the Mind among others). I am not sure whether there is anything else left for me to ask given the exhaustive and comprehensive questions that have been asked of Candy Gourlay. I ask for your patience, Candy, as I feel that it is inevitable that I ask questions that may have already been covered in the interviews I cited above. Could you share with us what the Crystal Kite Prize for Europe – as a debut author meant to you, your family in London and family back in the Philippines? 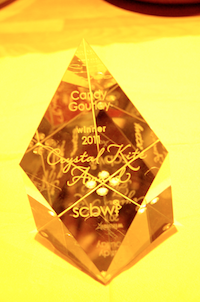 The Crystal Kite Prize is chosen by members of the SCBWI (Society of Children’s Book Writers and Illustrators), which I’ve been an over-active member of since 2001 when I decided to become serious about writing fiction for children. 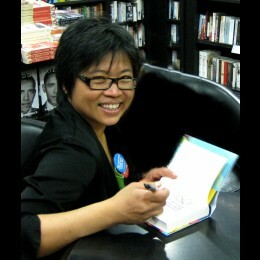 I can honestly say that the SCBWI played a big role in my journey to becoming an author. Not only did I learn the rudiments of the trade, but I’ve met a lot of wonderful and talented writers and illustrators through the years. I think my family both here and in the Philippines are proud of how well Tall Story has done – especially my mother who used to dream of writing fiction herself. I understand that Tall Story is a stand-alone novel as I have read in your other interviews, was there any particular reason why you decided on going with just a singular story, rather than developing a series or a trilogy out of the narrative? You can only write the story that comes to you! I never thought of Tall Story as anything but a stand-alone novel and in fact, I was surprised when so many readers wrote to ask if I would write a sequel. 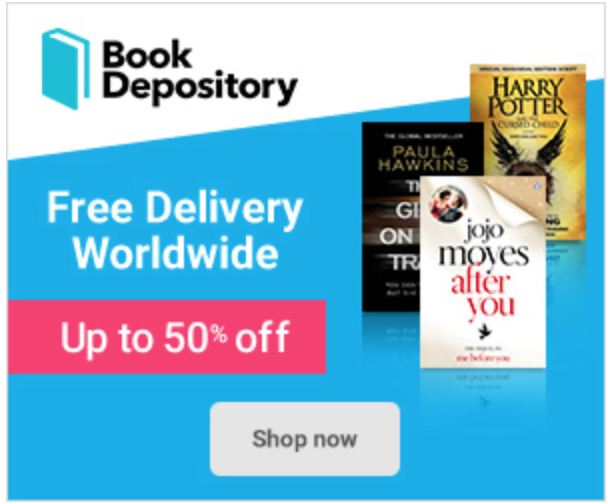 A friend told me she thought the world of Tall Story was rich enough to lend itself to further stand-alone books – in the same way that The Number One Ladies Detective Agency by Alexander McCall Smith has spawned several other stand alone novels to make a series. I like the idea, but we will have to see. I know that you would be speaking about myth and magic in your conference session during the Asian Festival of children’s content. 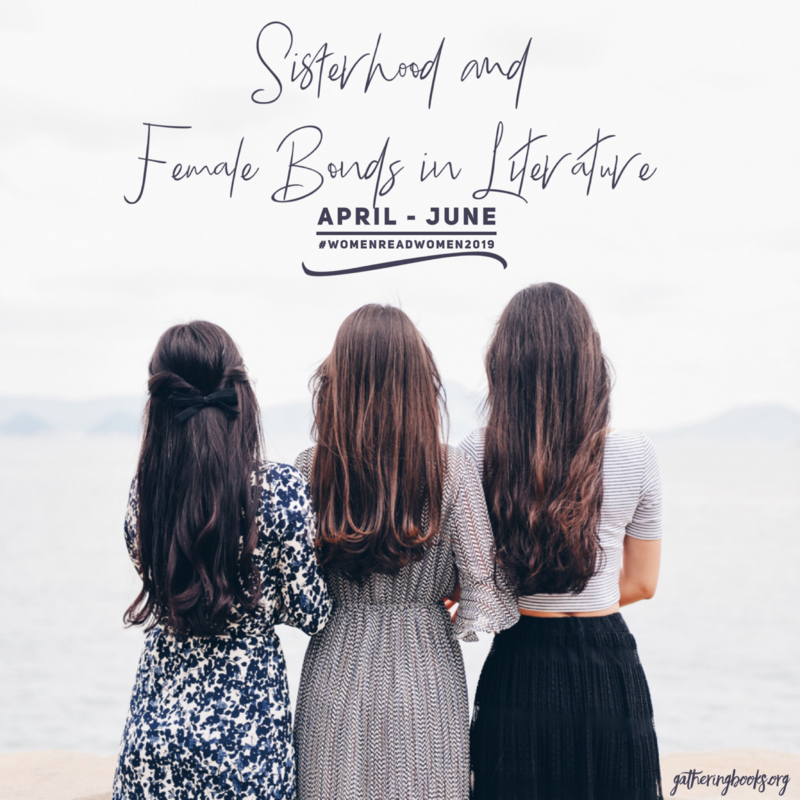 If you would be so kind, could you share with our GatheringBooks readers (some of them won’t be able to attend your session owing to their being in various parts of the globe), a few of the key points that you wanted to highlight during that talk as it relates to Tall Story? Tall Story is about a boy who is eight feet tall and when I started writing it, I had the germ of an idea about weaving our own giant mythology into my story. I grew up with my elders telling me stories about how things in the environment came to be – the legend of Maria Makiling, the legend of the Makahiya, why the pineapple has so many eyes. My dad used to point out bare patches on the mountains and tell us, can you see the handprints on that mountain? Those are the handprints of Bernardo Carpio! For a long time though I was worried that I would not do the legends justice, that I might tell the wrong story. But when I researched the legends, I learned that because these stories are not written down but handed from elder to child by word of mouth, they are not fixed but evolve to suit the storyteller’s agenda. Each generation takes ownership of the story and tells it in a different way. So the legends underlying my plot in Tall Story are my own retelling, inspired by my own personal experience of straddling two cultures. One of the legends I tell combines the legend explaining the origins of British giants and our own wonderful legend of how the Heavens parted from the Earth. Most of the questions asked of you have something to do with the two main voices in the story: Andi (or Amandolina) and Bernardo, I wanted to stray further and ask you a few questions about their Filipina mom who was depicted to be a workaholic, filled with gestures and emotions, and bursting with so much love and life – could you share with us some of your inspiration behind this nurse-mother whose strength of character is keenly felt in your story. How similar/different is she from you as a mother? Would you say that she is a typical Pinay mom? Click on the image to be taken to the websource – Candy’s website! I’ve spent the past 23 years trying to be just like all the other English mums – and it surprises me when my children joke about what a Pinay mum I am! But I think they are only referring to my comedy side, I don’t mind being silly to get a laugh (dignity is not my strong point). The mother in Tall Story is based on many moms I knew when I was growing up, neurotic, in your face, but caring and game for a laugh. In the 1990s I travelled around Europe interviewing Pinays for the magazine Filipinos in Europe. The common lament amongst their children was that their migrant mothers were working all the time, at all kinds of jobs. William, the British dad, is also a comparatively-understated character, yet his voice also resonates with such warmth and truth. If you were to speak from his voice/perspective about what was going on with Bernardo and with Andi and his Filipina wife, what are some of the things that may be going on in his head? Will the dad is a lot like my English husband Richard in that he embraces his family and extended family without reservation. I used to worry that Richard would look askance at the Filipino side of our family – we just seem louder, more emotional and more all over the place than his own (they speak in complete sentences – and there are so few of them). It’s a constant source of joy and amusement to me that our two cultures have become so at home with each other. I imagine that Will is like that, generous and embracing and (most of the time) happy to play a supporting role to his wife with her big emotions … but solid as a rock when adversity strikes. Was it difficult writing about something that hits close to home, something that is familiar, yet isn’t yours, yet is deeply yours too in essence? Was it necessary to distance or immerse yourself with Andi and Bernardo’s story for you to gain perspective in your writing/creative process? I like to say that you can only know your character if you look hard at yourself. There is a lot of me in Tall Story – I am Bernardo arriving in a strange country and desperate to fit in, I am Andi with my tangle of desires, confounded at every turn, I am Mary Anne, struggling to reconcile science with superstition. 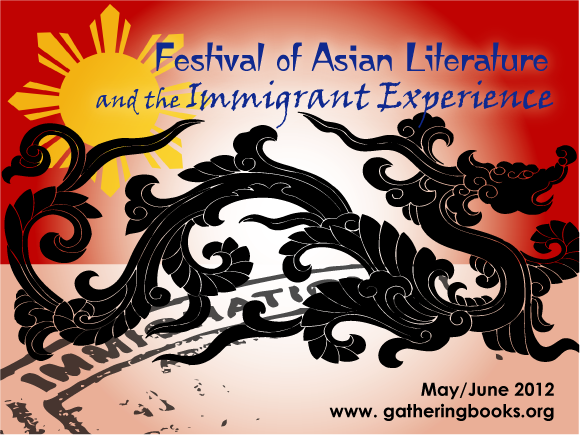 And I was acutely aware of my Filipino readers as I wrote it. Living abroad, you can really feel the Filipino lack of self esteem about our place in the world. So Tall Story is a bit of a love letter to my compatriots – I was holding up a mirror – look, look, can you see? You are amazing and don’t you forget it. If Andi and Bernardo were to give a short message to a lot of Filipino children who are now in diaspora or migrants in another land, what would they say to these kids? Filipinos abroad seem to obsess about ‘projecting a positive image’ to the rest of the world. I noticed that there is a lot of shame about the fact that our migrants tend to have domestic jobs, that we speak crooked English with strong accents, that we aren’t well to do, that we play the wrong sports, that we are superstitious, that we are religious. And what Andi and Bernardo, through their story, are saying is: it’s okay. Being yourself is more than good enough. Thank you so much again, Candy for your time. I am looking forward to meeting you during the AFCC – which by the way officially begins today! woohoo! It is my great pleasure!